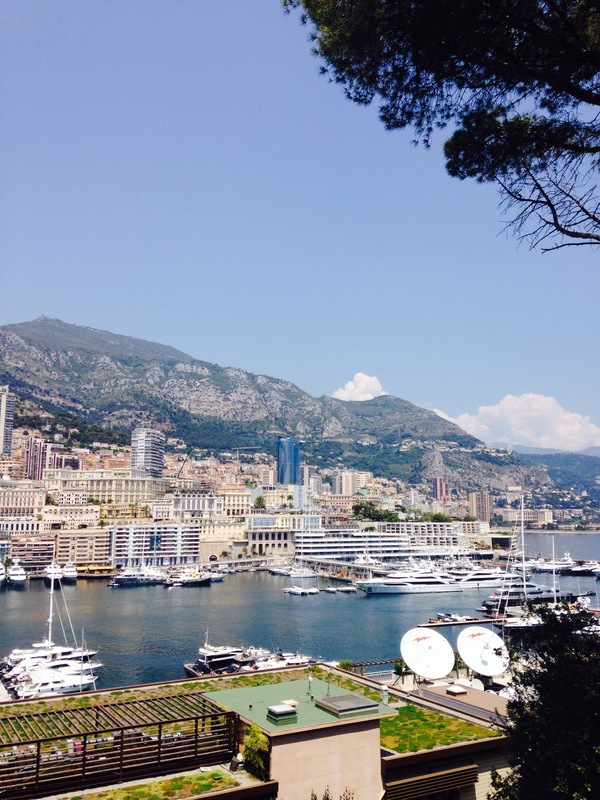 Travel to Monaco – A beautiful journey with a little bit of mystery…/ UFO sighting – just a joke? 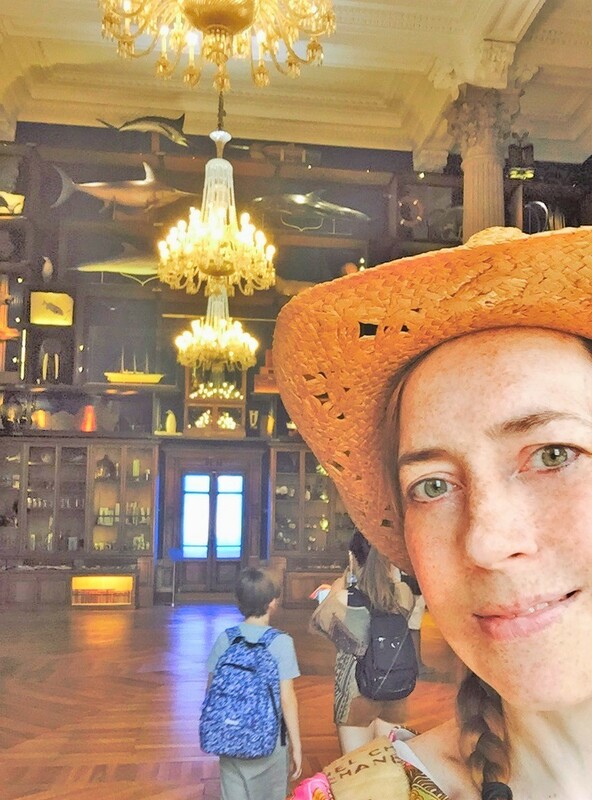 Is the ghost of Yves-Jaques Cousteau haunting through the Ozeanographic Museum? 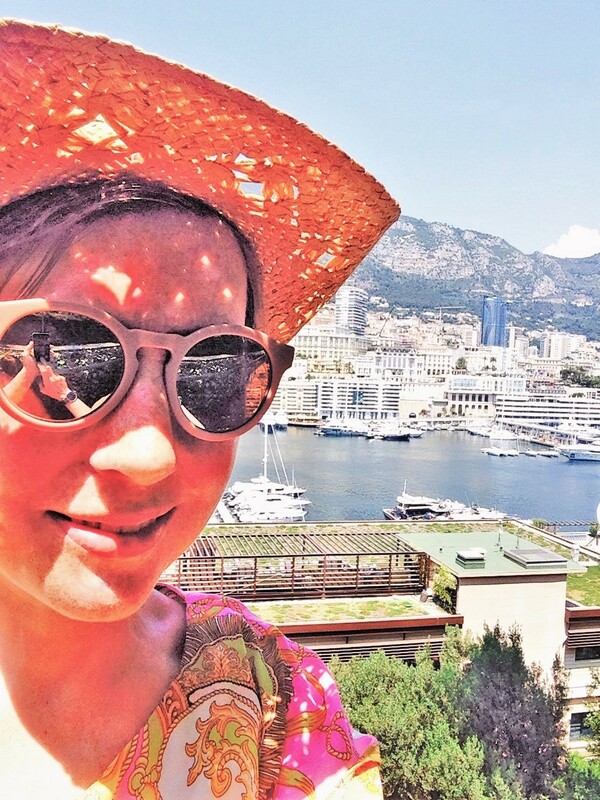 When I visited my daughter in Nice, we spent also one day in the most famous little country I know: MONACO. It´s 1,95 km2 small. Only one independent state is smaller – the Vatican City in Rome with 0,44km2 area. 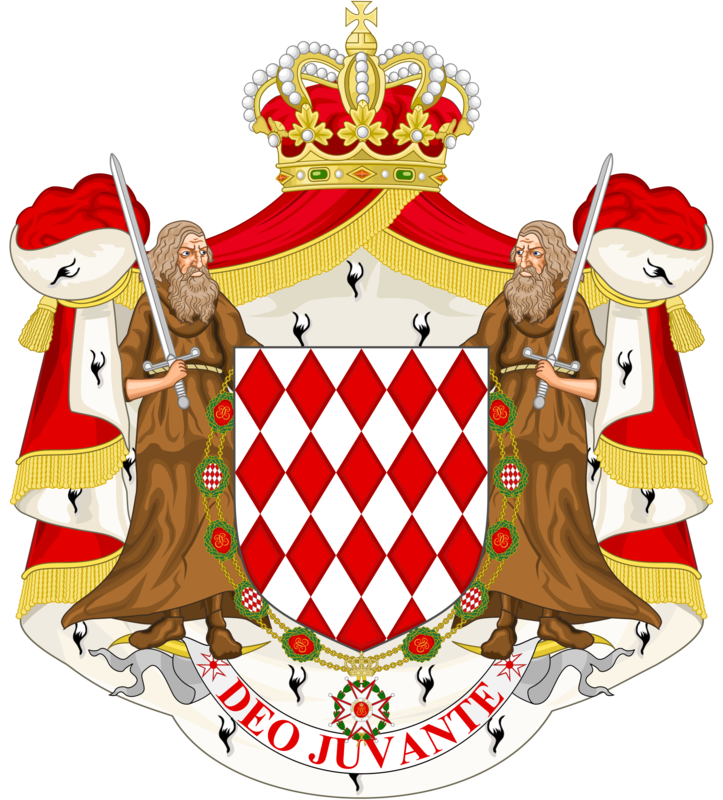 You may know also many stories about the Grimaldi family in the rainbow press… Monaco isn´t very far away from Nice. By the way, Monte Carlo is just a regio from Monaco with for example the casino in it. We took the train from the Gare De Chemin De Fer De Provence, via the nice little village Eze, where lots of artists have their residence, to Monaco.The railroad tracks are situated along rocky cliffs and you can overlooking the sea on many places! When we took the second possibility to go out, we stood on a road, but after crossing it, we looked about fifty meters deeper on another road… So we were looking for some staircases to go down. At first, we wanted to go to the starting point of the little tourist train, called „Azur Express“, where you can ride to the important streets and buildings of Monaco. It seemed quite near to the harbor on our map. But in reality, there is a high difference from a hundred meters again! But in this moment, we didn´t know that. So we had found the „right“ way and were standing on the other road after about another ten minutes. How can we come down to that road? Huge yachts in the habor. I don´t know, what just the place for the boat costs in the yachting club! 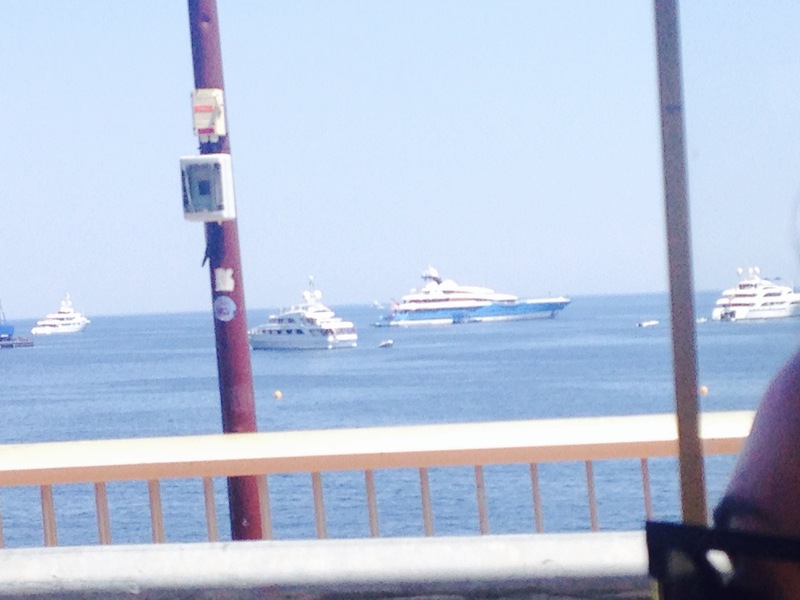 Yachts on the water.You are not alone… You buy a yacht for tens of millions and then… Mine is bigger than yours! But forget it! We started in the quarter of the Palace of the Prince Albert II of Monaco and his wife Princess Charlène (the swimmer Charlène Wittstock married Prince Albert in 2011) and their sweet twins, born on10 December, 2014 Gabriella Thérése Marie and Jacques Honoré Rainier Grimaldi. But unfortunately, we had no time to met them. Well, it´s unlikely, but it can be, that they don´t read my blog already, so that they are not offended that I didn´t visit them. 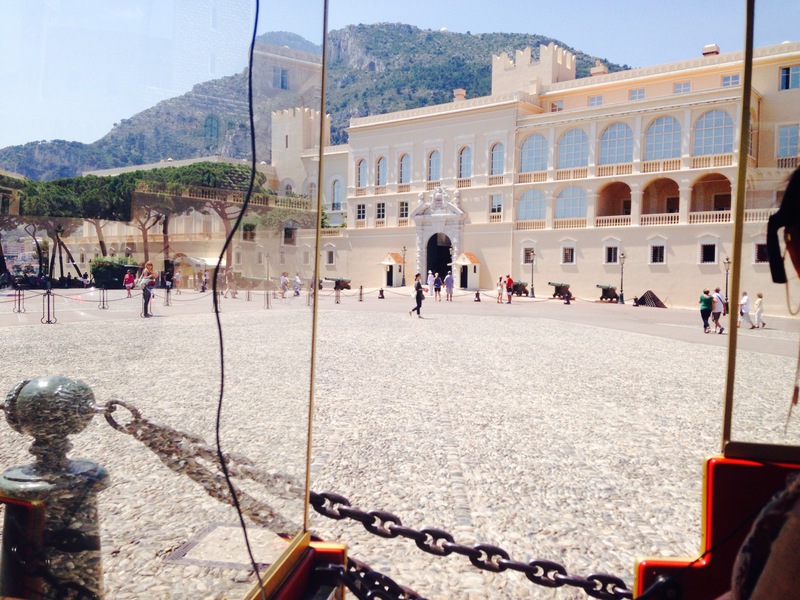 Photo from Palais Princier de Monaco. Cathedrale where the marriage of Prince Albert II and Princess Charlène took place. It looks very strange – the „thing“ over the buildings. I just discovered it, when I looked on the picture while writing this article… No, I didn´t add it! But what is it? Did I see a UFO in Monaco? Spectaculous! To be continued! The train went down to the harbor again and showed the famous car racing course, the casino and the narrow alleys. We were astonished, how many high raise buildings there were. All seemed a bit narrow. But nevertheless, it´s a wonderful, rich city, very sophisticated and classy. With this little train it doesn´t need more than 45 min to see all the famous buildings – and much more. After the train has stopped his tour in front of that famous Oceanographic Museum, we decided to go in. And it was marvellous! Founded by the Prince Albert I, great grandfather of Prince Albert II, it was designed as a palace entirely dedicated to art and science. In the basement, there are the aquariums. 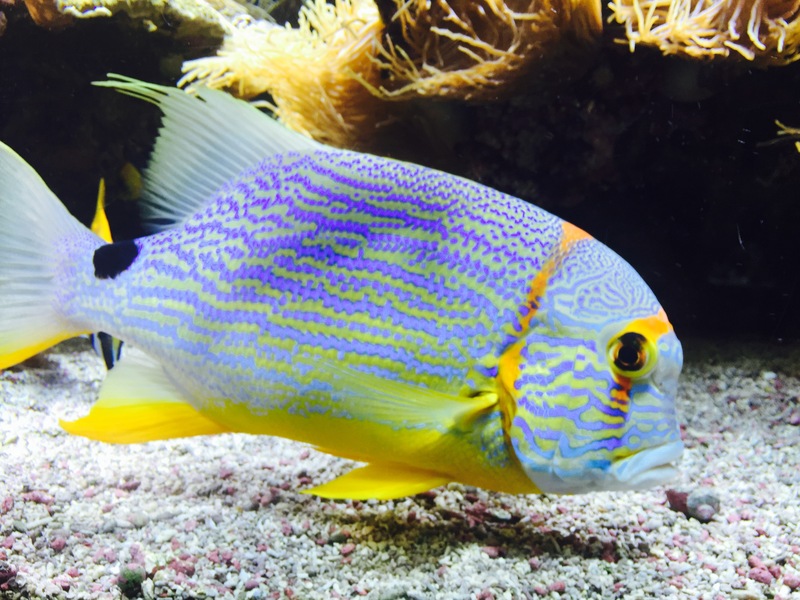 Anxelottels, pirahnas, sharks, jellyfishes, lots of poisson fishes and a huge amount of other fishes were presented in a very attractive way. 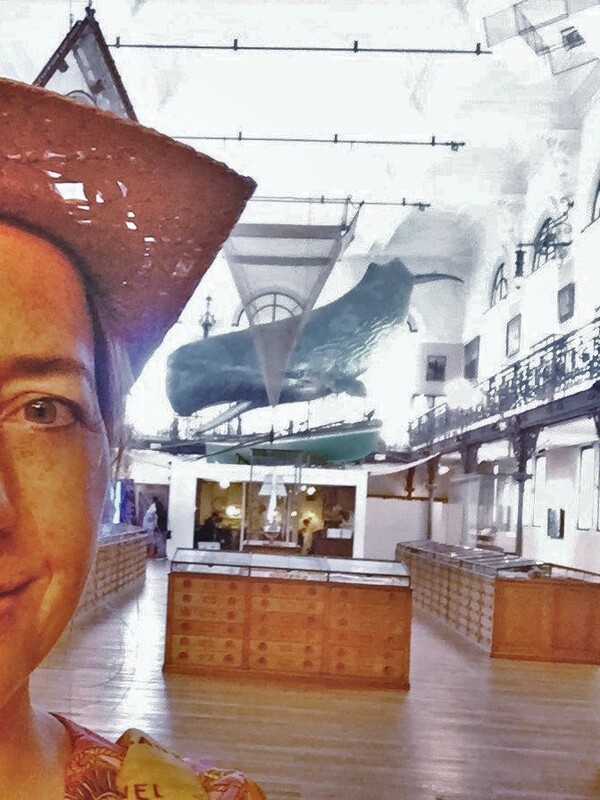 And the museum itself with a great variety of exponates impressed me like I couldn´t imagine before! 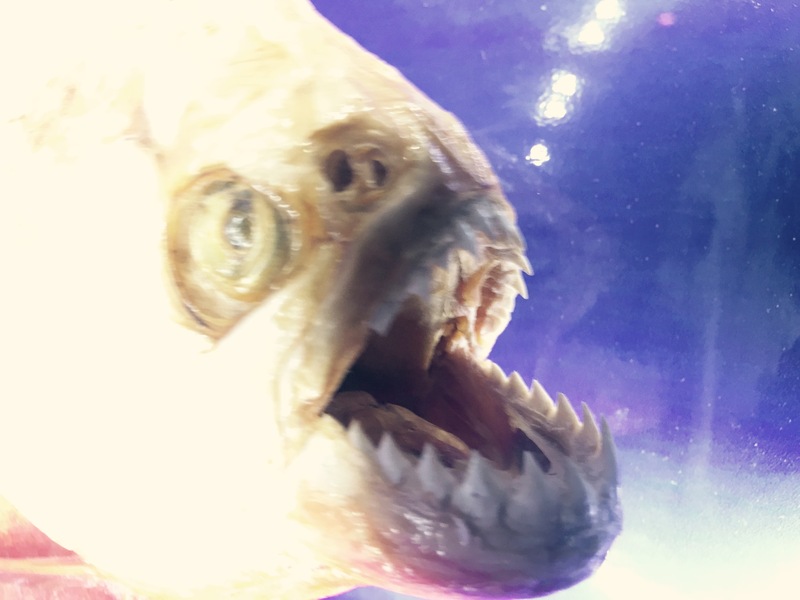 Even my son was absolutely flashed from this variety of fishes. And also from an old submarine. 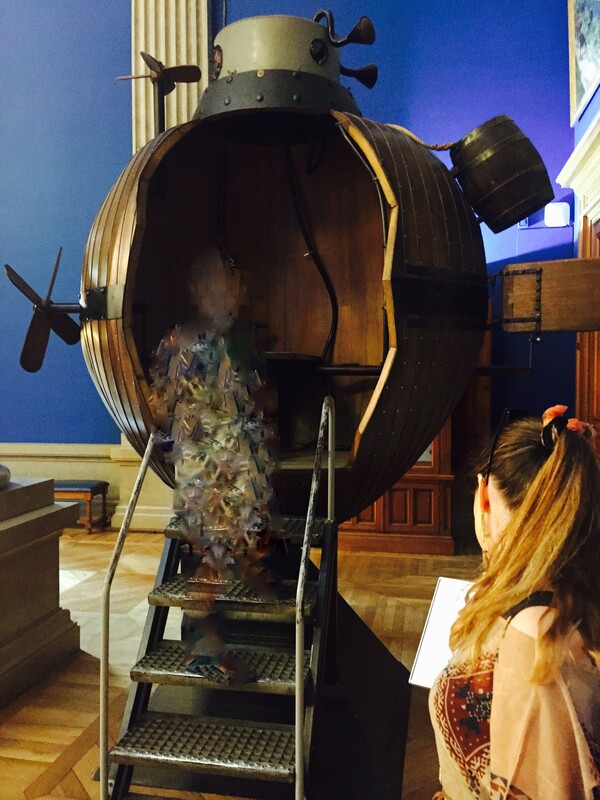 I met people who told me, that they had seen the ghost from Yves-Jaques Cousteau, who worked a lot on the exhibition and become director in 1957, inside the old submarine. But that´s certainly nonsense! After visiting the museum, which contains also some modern art, we were very tired and it was time to go back to the railwaystation again… But we were more clever than at the arrival and took the bus. It was on that day for free, because it was the day for the environment protection. We would have liked also to see the immense chambers of the prehistoric Observatory Caves, whose stalagmites, stalatites and limestone concretions are admirably illuminatedand which are situated under the sea level! 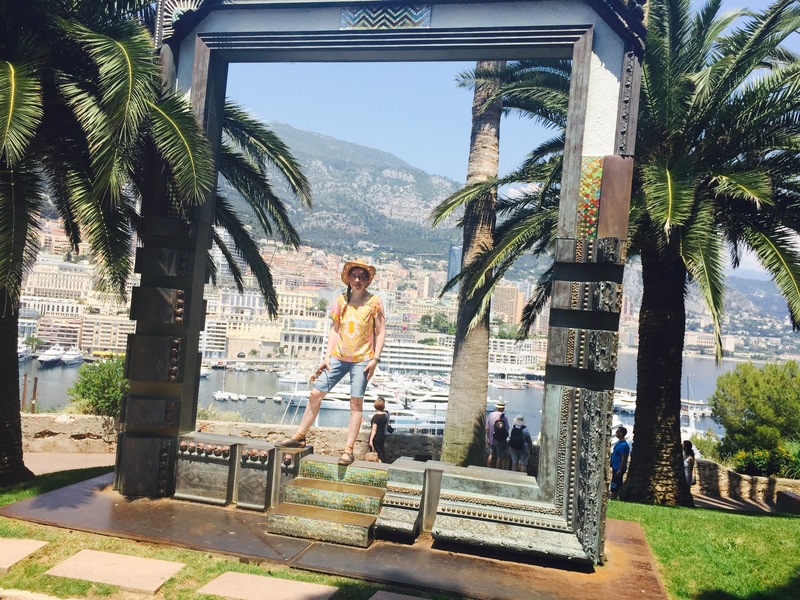 And the time was also to short to discover the Exotic Garden of Monaco for a longer time…. And unfortunately we didn´t eat some barbagiuans, also known as „barbajuans“, at the Condamine Market. They are a national dish from Monaco, especially eaten on the National Day. It is also known as The Sovereign Prince’s Day and is currently annually celebrated on 19 November. The word „barbajuan“ means Uncle John in Monégasque. The main ingredients are Swiss chard, spinach, ricotta, Parmigiano-Reggiano, onions, leeks, egg whites, pastry (flour, eggs, olive oil, water). Ich bin noch am Korrigieren, schon kommt dieser nette, informative Kommentar hereingeflogen,…Vielen Dank und einen wunderschönen Tag! mein Urlaub an der Cote a zur ist schon ein paar Jahre her, trotzdem denke ich immer noch gerne zurück. Ursprünglich hatten wir unser Hotel in Italien, bin aber während unserer Urlaubszeit einige Male noch Monaco gefahren – es war wunderschön dort. Und deine Bilder erinnern mich an diese schöne Zeit zurück. Dank´Dir für Deinen netten Kommentar!